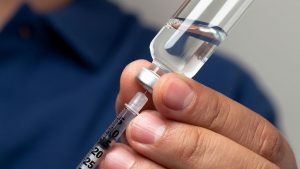 Just under a century ago, a team of Canadian scientists made the breakthrough that led to widely available insulin as an effective treatment for diabetes, which then was a deadly disease. The researchers, who won the Nobel Prize, also made a jaw-dropping gesture to ensure their discovery would benefit the afflicted: They handed over their lucrative patent on insulin to the University of Toronto to ensure the fearsome illness would be conquered. The university, alas, turned quickly to commercial drug makers, licensing them to produce the life-saving medication. And flash forward to now, and, after years of rising anger, a group of diabetes patients has sued three drug makers, asserting they systematically and fraudulently price-gouged them for their must-have treatment. Insulin has become a $24 billion global market, with myriad profit-grabbing hands of distributors and supposed cost-controllers moving it from makers to patients, each middleman taking his piece. Patients say they’re aggravated that the various Big Pharma players appear to work in concert to send insulin’s price, in lockstep, skyrocketing. One vendor’s product carried a sticker price of $21 per vial two decades ago. It now costs $255 for the same amount. Big Pharma, as it typically does, defends its prices. It has deflected the patients’ claims by noting that, at various steps in the insulin chain, discounts and price reductions occur, and company representatives argue that what patients pay matters more than list prices for products. But the diabetics are responding with terrible stories of how patients are reacting to unaffordable supplies, with some injecting expired insulin, others suffering life-threatening complications so they can delay and reduce dosages. Some patients say they may lose limbs as a result. The overflowing anger about insulin’s soaring prices has been part of a season of major discontent directed at Big Pharma, with a carousel of companies under fire: Mylan and the EpiPen (now under heat from the Federal Trade Commission); and “ hedge-fund” drug companies like Valeant, Retrophin, Rodelis Therapetucis, and Turing, with its smirking, frat-boy CEO Martin Shrkeli. Congressional committees have put Big Pharma on the grill in hearings over its predatory pricing practices, and issued a scathing report with some recommendations for changes. Twenty states and the federal government have taken after generic drug makers, too, accusing them of colluding to jack up their product prices. A fury is building over the soaring cost for naloxone, a key treatment for overdoses of the opioid painkillers whose abuse has become epidemic across the country. There also, however, has been a change in political Administrations since some of the worst scandals have erupted, with likely significant effects on how regulators will deal with Big Pharma. I’ve written about how the $6.3 billion 21st Century Cures Act may change the way the federal Food and Drug Administration oversees the industry, potentially undercutting safety oversight in the name of expediting therapies and medical devices for patient benefit in the market. The president-elect met with some startling candidates, too, to head the FDA, as I have written. So where will the new sheriff in town, as President Trump’s supporters like to describe him, land on policing Big Pharma? The hyperkinetic, opinionated chief executive sent some unsettling signals when meeting with industry leaders. At the meeting’s start, he thundered, as he has before, about the high prices of drugs and insisted they needed to come down. He repeated his notion that the nation might allow more imports of quality but lower cost drugs from overseas to curb prices. Then he met behind closed doors with Big Pharma CEOs. He emerged to suggest only that the industry needed to make more of its products in the United States, dropping, among other issues, his long-standing advocacy for Medicare to negotiate lower drug prices. As he has on other big, challenging public policy issues, the president created issues as he addressed them: His call for more manufacturing ran counterfactually to his stated goal of reducing drug costs, as makers have off-shored production to make and sell drugs, including to U.S. markets, more cheaply and efficiently. The head-scratching Big Pharma session, of course, was just part of the huge tumult the Administration has seemed to revel in with its precipitous presidential orders. I’ve written about some of these. They have continued, with concerns about how a beneficial-seeming push to slash 2-for-1 unnecessary regulations may not be so great as the government tries to roll out programs in the Cures Act, especially to improve processes at the FDA. Then, of course, there’s the ghastly course the Administration has pursued on immigrants and refugees. I oppose the presidential order on this issue. It is terrible for science and awful for medical care in this nation. Its roll-out has lacked the care, thoughtfulness, transparency, and respect for the rule of law that our country deserves. I’m aghast, especially as more details surface about this order’s scope and impact. I know others have written deeply and comprehensively about all the ways this path is wrong for the country. In my practice, I see the terrible harms that dangerous drugs can inflict. I see how patients who have been harmed while seeking medical services often need not only justice but also long-term support and assistance, perhaps for a lifetime, to deal with the crushing costs of health care. This is serious stuff, and whiplash, xenophobic politics has no place for us as we try to ensure and improve Americans access to affordable, safe, and outstanding health care.